The Sri Mahamariamman Temple is the oldest Hindu temple in Kuala Lumpur, Malaysia. Founded in 1873, it is situated at edge of Chinatown in Jalan Bandar . In 1968, a new structure was built, featuring the ornate 'Raja Gopuram' tower in the style of South Indian temples. 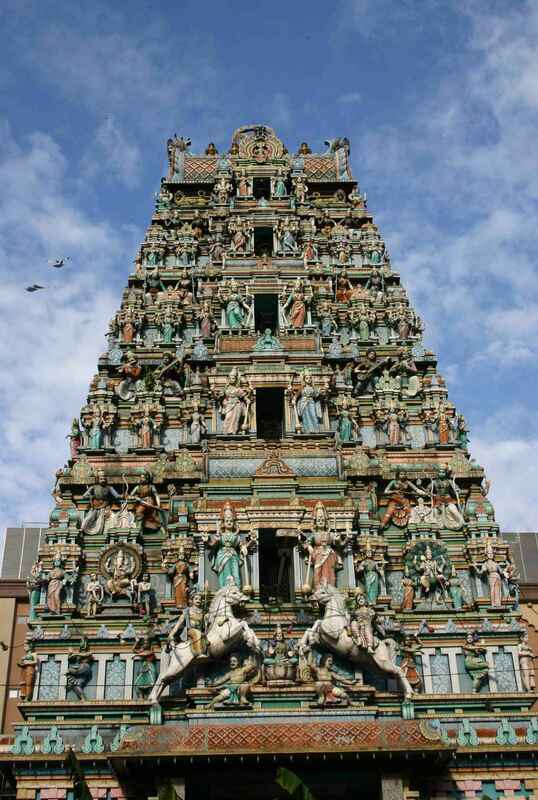 Built in the South Indian style, the temple's most outstanding feature is the impressiven 5-tiered gopuram (tower). It is the tallest structure in the temple. The dramatic 22.9m (75ft) high pyramid-shaped gate tower is decorated with depictions of Hindu gods sculpted by artisans from southern India. The chief sculptor was the late S. T. Muniappa from Tamil Nadu and is credited for creating the 228 idols on the gopuram. Within the temple is a main prayer hall with richly decorated ceilings. The location of three shrines in the main temple is marked by an ornately embellished onion dome which can be seen from outside. There is also four smaller shrines located peripherally around the main temple building. Temple chairman R. Nadarajah said the idea to construct the building was mooted by Datuk Seri S. Samy Vellu 38 years ago when he was a committee member of the temple. Known as Bangunan Mariamman, the building is beside the Klang Bus Station and opposite the Putra LRT station. It is connected to the temple and has two floors of basement car parks, three floors for two auditoriums and a hall. 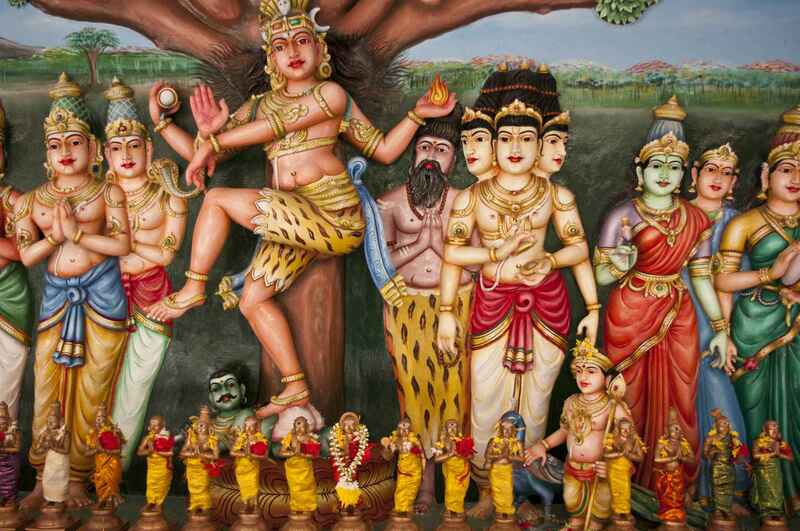 Sri Mahamariamman Temple | eTips Inc.